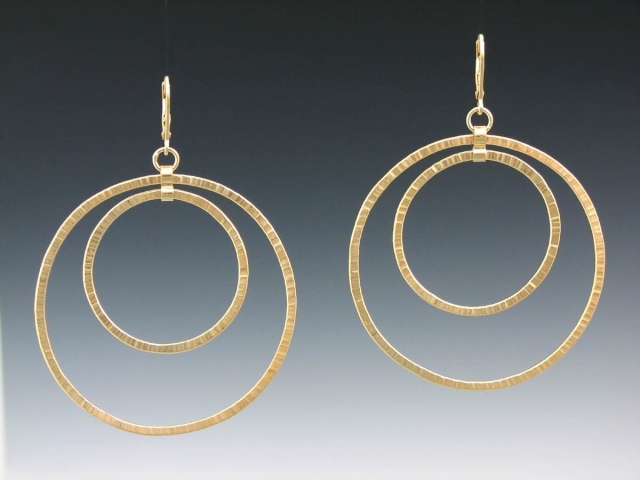 Hammered Double hoops in Gold Vermeil. The sharp hammer marks have an almost faceted quality. Available in shiny(shown) or satin finish.